What is the difference between feng shui crystals and natural crystals, and can you use natural crystals as a substitute for feng shui crystals? Hi Juania, thanks for your question. It's a great one! Both natural crystals and glass feng shui crystals are useful in the practice of healing and correcting the flow of energy in your home. They do have some differences, and it is important to ensure you use the correct crystals for each adjustment. Feng shui crystals are generally made of glass, are faceted and are spherical. I prefer Swarovski brand leaded, crystal feng shui balls. Because they are leaded glass, these specific crystals refract more light. Feng shui crystals have many facets so they can disperse chi most effectively. 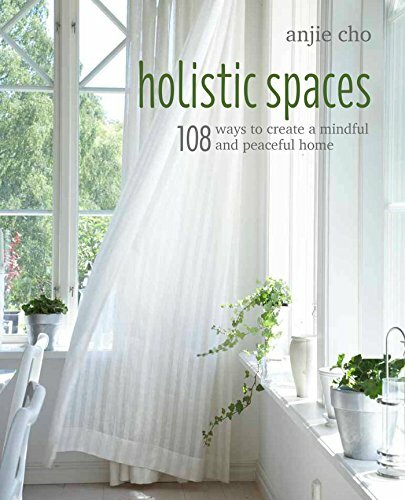 They are used to adjust the flow of energy in a space and are particularly effective for bringing light, brilliance and clarity to your space. 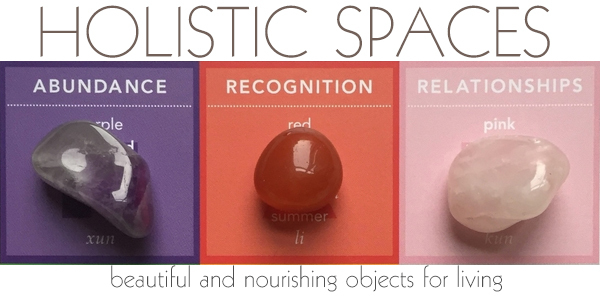 You can purchase feng shui crystals at the Holistic Spaces store here. Natural crystals are found in all different shapes (regular, irregular) and sizes, different facets, and textures (rough, tumbled). While these crystals are very helpful in many aspects of life, they are vibrationally geared to address specific issues based on the color, composition and creation process of the crystal. Most natural crystals do not possess the same characteristics as the feng shui crystals we prescribe for hanging. For this reason, in feng shui applications that call out for a crystal ball, you should actually use a feng shui crystal and not a natural crystal. One such situation would be adding a feng shui crystal to a dark and small entry to expand the space. A hanging feng shui crystal, when placed in a dark or small entry, can attract positive energy and then disperse it into your home. Based on the desired outcome of the use of this crystal, it is necessary to ensure that you use a feng shui crystal ball, as these crystals are most effective at dispersing energy. In general, for feng shui purposes it is very important to hang the crystal balls using a red cord. Red is a very auspicious color and represents protection. It’s even better if the cord can be a length that equals a multiple of 9 – like 9”, 18,” 27” etc. These feng shui crystals are easy to find online, and they come in various sizes. In fact, you can find one on my online store! For feng shui purposes, most interior spaces should use crystals of 40mm or larger. Keep in mind that both feng shui, faceted crystals and natural crystals are useful in making adjustments and shifting energy in the practice of feng shui. Just be sure to use the appropriate crystals for each adjustment. If you aren't sure which situation calls for which crystal, take a peek at some of the articles on this topic below.